fancy milk action, you‘ll definitely need a decent coffee maker. However, when it comes to picking the right espresso machine, there are many necessary things to consider, and finding the right one for you can be quite a challenge. Well, worry not, in this article we will present to you the top 10 best coffee machines in 2019 that will ensure you have the type of coffee you crave and desire. Not everything was made equal, and obviously the same applies to coffee machines. Hence why we came up with this list of coffee machines and grinders and went in details about each one in this article, for the sole purpose of enabling you to choose the one that suits your needs and meets your daily requirements. For the best overall performance, budget, and coffee quality. The Breville BES 870 XLn barista Express is your best option if you want great cafe quality espresso in the comfort of your home. 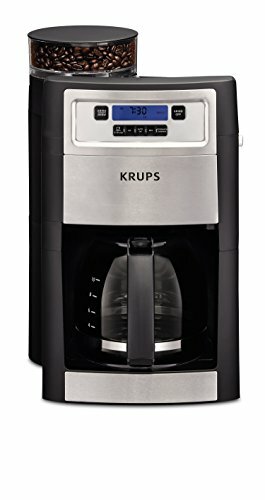 This modern machine is packed with important commercial grade features delivering you the convenience of in-home use without compromising your brews quality. Most espresso machines don’t come with everything you need so you end up buying a bunch of much-needed accessories to make your excellent coffee. Not so with Breville as it comes with a stainless steel conical burr grinder, a 1/2 pound sealed bean hopper, a 54-millimeter tamper, a steaming wand for frothing your delicious milk, and a frothing pitcher, so the only thing you need to buy is the espresso beans. The user manual is extremely detailed, so you should be capable of following its specific instructions without too much trouble. 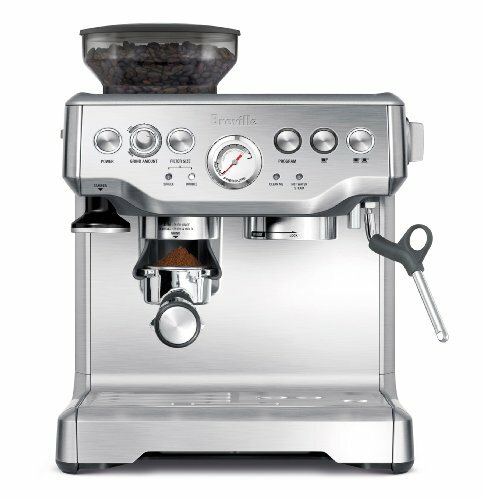 The Breville Express espresso machine uses a 15 bar Italian pump, and a 1600 watt thermal coil heating system to make a rich and tasty espresso. Moreover, the built-in burr grinder is high-quality, you can easily adjust the grind size and amount with a dial on the front of the efficient machine. When it comes to deciding how much espresso is required, you are able to choose between two presets for 1 and 2 cups volume, alternatively, you can manually override the settings and select your own amount of espresso. If you’re inexperienced, it’s an efficient machine to start your learning process with, and if you’re interested in fiddling around with appropriate settings, you can do that as well. It‘s an all-around great espresso machine according to several reviews by experts and everyday users. By the way, if you have another innovative product in mind that you prefer us to review go ahead and put it in the comments down below and we’ll try to make that happen. Easy to use due to the detailed user guide. It Requires learning how to use it at first. Only one year of warranty. 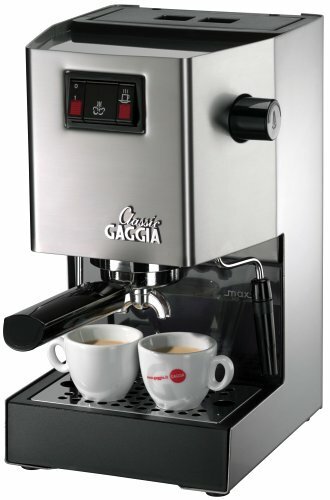 The Gaggia Classic semi-automatic espresso maker is a classic espresso machine. The model 14101 is a semi-automatic espresso and coffee maker combination machine, It is known for its durability and it is among the top best sellers in its category. It is also popularly known for being one of the first coffee maker manufacturing companies in the country, this is the primary reason why you can still find many coffee lovers using the successful company’s more previous models even after 10 or so years. Despite some complaints about cosmetic changes in the recent models, all-time users of the machine agree that the machines still produce the same great tasting coffee. this Classic espresso machine weighs a hefty 20 pounds and is notably heavier than its counterparts from other brands. The weight of the machine is due to its brushed stainless steel finish and built, additionally, it boasts all the typical features needed for a great espresso machine. These are 72-ounce water containers, brass portafilters, measuring scoops, bar pump with high voltage boiler, frothing, wand tamper, and a hot water dispenser. With the Gaggia 14101 model you can choose between the particular shot and double shot beverages, the front of the machine also sports an electronic display to show temperatures and signal lights, and whether the machine is on or off. If this is your first time purchasing an espresso machine, remember that having the semi-automatic model means that you will need to use pre-ground coffee and learn the correct way to tamp it under correct pressure. You will need to experiment a lot before discovering your own preferred blend. But to conclude, with the Gaggia Classic espresso machine by your side, this process will be a lot easier. Next, as the best budget option available, we have the DeLonghi ECC155 espresso and cappuccino maker, not everyone can comfortably afford a top-of-the-line espresso machine but there are some good options out there for that $100. 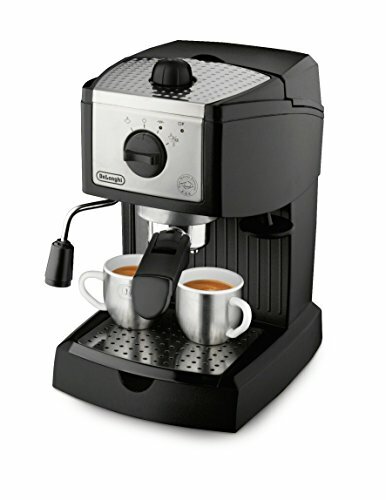 The DeLonghi EC155 bar pump espresso and cappuccino maker is precisely the best of the sub $100 category, with its easy-to-use design and tasty espresso. It’s a basic machine that gets the job done, with an Italian design and being made by a brand that’s a household name in Italy. You get a manual milk frother, and a built-in tamper along with the machine, so you don’t have to buy your own grinder and milk frothing pitcher. Furthermore, if you want foam on the top, though the downside to this machine is that many reviewers and users complain that the tamper and milk frother aren’t that great and you might end up buying those too. Regardless of whether you buy extra accessories, it’s still very affordable and if you’re really buying this machine for the espresso, it delivers in that regard, as it‘s a 15-bar machine with a self-priming function, so you don’t have to go through the hassle of prepping the Machine. The 35-ounce water tank is removable for cleaning, and it has a drip tray to catch spills. Moreover, the adorable high-quality stainless steel boiler is there to ensure many years of delicious espresso. Although the machine may not be stainless steel like the other high-end machines on the list, it does have stainless steel where it counts specifically on the boiler. The three-in-one filter holder allows you to choose between a holder for one espresso shot or a holder for two shots and there’s also one for an espresso pod. We would love to hear which of these amazing espresso machines you would like to get. Make sure to let us know in the comments below and let’s see what the majority of the viewers like the most. Easier to use compared to the previous ones. Removable drip tray for easier cleaning. Bigger cups are not supported. 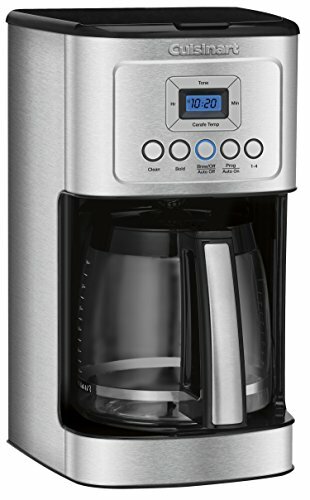 The following is the best high-end coffee machine on the market which is the Oracle touch by Breville. Are you willing to spend nearly three thousand dollars to get a great coffee maker? If you are, The Oracle touch is, in other words, the Ferrari of home coffee makers, not only does it tremendously grow an amazing good tasting espresso but it‘s also fully automatic. So learning how to use it is extremely simple and barely requires a single touch, in our testing the coffee made by this machine wasn’t necessarily that much better than the coffee made by the Barista Express. But the Oracle touch was far easier to use and generally made coffee quicker. For starters, it boasts an extremely intuitive touchscreen which guides you through a huge selection of drinks, and you can even program your own drinks. So if you find something that you naturally like that isn’t on the comprehensive list, it‘s easy to recreate it. This product excels at making daily usage feel like a premium experience, the touchscreen is bright, responsive, and stands head and shoulders above the dodgy TFT screens of other machines. In addition, the ability to save your favorite drink recipes is a marked improvement over the original Oracle, the Oracle touches impressive feature sets finds its roots in traditional espresso machine designs. Dedicated brew and steam boilers PID, temperature control, a heated brew group, and built-in pre-infusion to name a few. Just like the original Oracle, this one comes with an automatic closing and self-damping grinder that now supports both single and double espresso baskets. Finally, it has a vol metric shot programming and best-in-class automatic milk steaming that rivals most cafes. Possibility to manually or automate the tasks. To complete our list is the best capsule espresso machine, the Nespresso Inissia coffee machine, true espresso purists may shudder at the thought of popping coffee in a pod and pressing a button to extract espresso from it, but convenience is king these days. It made espresso pods popular and now they’re everywhere. Nevertheless, the first thing you need to know is that the pods are expensive, if you buy 50 pods you’ll pay nearly $40. That’s a lot more than a bag of good espresso beans, however, if ease of use and convenience are more important to you than money than you can’t go wrong with this machine. This coffee machine pod will be worth its weight in gold, the Nespresso machine takes all the grinding tamping and measuring out of the equation, just turn it on, pop some pods in, and press the button to make that espresso you love. It has a fast preheating time of 25 seconds and the pump offers 19 bar of pressure, the machine lets you choose between espresso and lungo and it holds nine to eleven used pods. The water tank only retains a 24-ounce capacity so you‘ll have to replenish it often. Still out of all these products, about 80% of people have chosen Nespresso Inissia and bought it from Amazon, simply because it’s very efficient, convenient, and so easy to use. There’s nothing better than a perfect cup of coffee, so if you‘re a coffee snob you are likely aware of the fact that fresh ground coffee makes for a more decent cup of Joe. Coffee goes stale relatively quickly so when you buy pre-ground beans, you may be losing some of the flavors of your coffee. First on our list, as the best Overall coffee grinder we chose the Baratza coffee grinder, every coffee expert will inform you that the least amount of money you should typically spend on a coffee grinder is $100, because you get what you pay for in the coffee world, although there are elegant high-end models that cost likely hundreds more than the Baratza coffee grinder, this is still the best grinder for most people. The Baratza Encore is considered the ultimate entry-level burr grinder for coffee enthusiasts at home. You really don’t need more than what this grinder offers, it has 40 individual grind settings, ranging from fine to coarse and everything in between, once you find the perfect setting for your taste you’re all set. Moreover, it runs on a DC motor, with Electric and gear speed reducers that slow the engine to 450 rpm to reduce familiar noise. Static and unwanted variations in particle size, the Encore is a great all-around grinder that performs nearly as well and consistently as the pricier competition. Baratza also has a great repair program, so if your machine needs a repair or a full cleaning, they’ll take care of it for you for a fee, user reviews on Amazon are mostly positive and many say there’s no need to pay more for a higher-end grinder. Next in our list, as the best budget grinder, we chose the Cuisinart DB m8 supreme grind automatic burr mill, not everyone has hundreds of dollars to spend on a coffee grinder, but if you’ve got $40 burning a hole in your pocket check out the Cuisinart DB m8. This grinder originally costs $90 but recently it‘s on sale for a discount on Amazon at the time we created this article for about $40. It is an incredible deal. It has 18 different grind settings, so you can get your beans down to a fine grind for espresso or a coarser grind for French press coffee. The dial is easy to twist, and the settings are clearly labeled making it easy to adjust the grind. Despite the grind perhaps not being fine or precise as you’d expect from a fancier grinder, still with some experimentation and practice, you should be able to find a setting that works for your taste and cravings. Cuisinart says the chamber holds enough ground coffee for 32 cups of coffee, but your mileage will vary based on how coarse or fine you grind your beans. The 8-ounce bean hopper holds a decent number of beans at a time and it’ll automatically turn off when it’s gone through all the beans in the hopper. In conclusion, this grinder isn’t the best when it comes to fine and precise grinding, but as far as the price goes, it’s a one-off, and still, it delivers quite well considering how cheap it is. 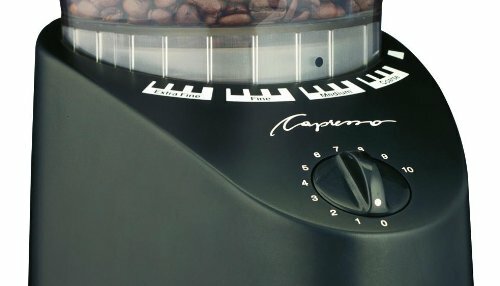 Next, as a best mid-range coffee grinder, we chose Capresso 560 also known as an infinity grinder. High-end grinders are very expensive, but luckily there are many great alternatives out there for less than $100. Out of many mid-range grinders, the Capresso 561 infinity burr grinder is the very best, this 100-watt conical burr grinder has 16 grind settings, which range from superfine Turkish ground coffee to very coarse grounds that are perfect for French press coffee. 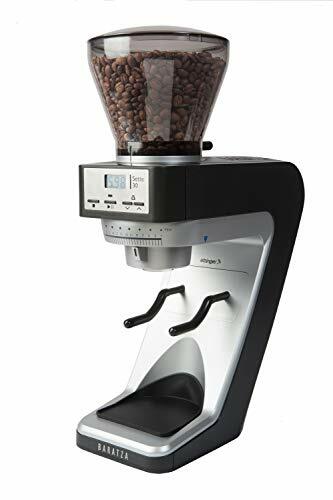 The grinders conical burrs come from Switzerland and they’re famous for a better fit and more consistent grind, the clear bean container at the top holds eight and a half ounces of coffee beans. Furthermore; the clear grounds container holds four ounces of freshly ground coffee, the Capresso infinity has a built-in timer to ensure that your beans aren’t too fine. It‘s relatively easy to clean and comes with a one-year limited warranty, it may not be quite as consistent as high-end expensive grinders. But the infinity is an excellent deal, for a burr grinder costing less than a hundred dollars.but last and not least the buyer reviews on Amazon are mostly positive. If you want the very best grinder money can buy, and you‘re willing to pay upwards of $200 for your coffee grinder, the Barossa virtuosos professional-grade 40-millimeter conical burr grinder is the one for you. It has 40 individual grind settings, ranging from fine to coarse and everything in between. Once you find the perfect setting for your tastes you‘re ready to go. It also has a pulse button on the front, so you can grind directly into an espresso machine filter basket, the Barossa virtuoso, 60-second timer makes it easy to get the perfect grind almost everytime. So don’t worry about running it just a bit too long, it runs on a DC motor with Electric and gear speed reducers that slow the bird of 450 rpm, to reduce noise, and static unwanted variations in particle size. The Virtuoso is slightly more reliable and consistent than the cheaper Encore model, and its French-press particle size is on point. In microscopic tests, experts couldn’t even tell the difference between the particles that produced, versus one of the most high-end and expensive grinders you can buy. That’s high praise indeed. In addition, the Baratza also has a great repair program. So if your machine needs a repair or a full cleaning, they’ll take care of it for you for a very small fee. The experts say that blade grinder is absolutely awful, still, they are much more affordable for people on a budget. 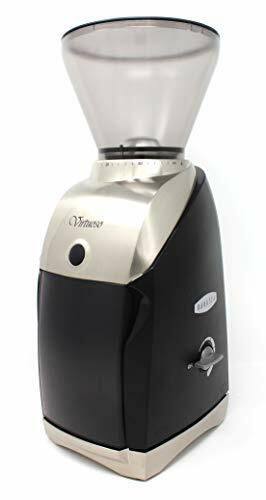 You can still get freshly ground coffee at home for less than $20, it may not be barista approved but it‘s more than enough for most people, of course, it‘s a blade grinder. So if you’re seeking coarse grinds for French press or pour over coffee, you should definitely give this one a try, you can grind your beans coarsely but they’ll be in little chunks of varying sizes. You might get a bitter or weak brew out of them, but at least at a fine grind, the blade grinder can get close to a uniform particle size. Basically, you won’t notice the difference unless you have a very refined palate, the Krupps grinder is remarkably easy to clean too, all you need is to simply use a pastry brush to kick out the excess grinds leftovers. Since it‘s a blade grinder, the Krupp‘s can grind spices down to powder too, so if you‘re looking for a versatile machine that can grind coffee beans and spices like clothes or cardamom or even nuts. To conclude, this is a good option because it’s less than $20 which is very affordable, and it’s also a best-seller on Amazon and the reviews on it are mainly positive. If you got a lot of time on your hands and enjoy some manual laborn , there’s no harm in buying a manual coffee grinder like this one, it’s as basic as it gets. You simply pop some beans in the crank, then handle and grind away until all the beans are turned into beautiful coffee particles lying in the glass holder below. You’ll only get one cup worth of coffee for all your hard work, but the grinds are uniform and high-quality. In addition, the ceramic mill is hard and durable and should last a lifetime, just be careful with the glass portion, and the grinder should outlast many of the more high-end machines. 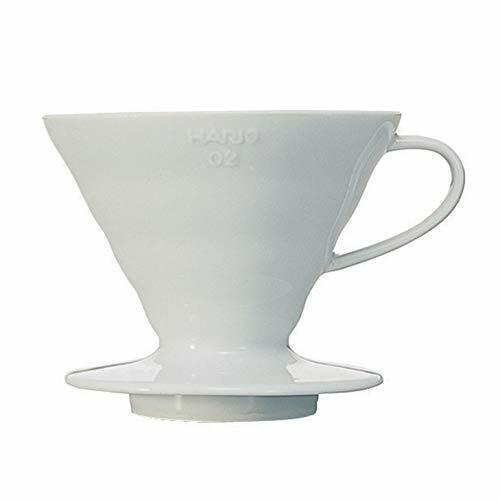 It’s easy to clean and very easy to store in the cover due to the Hario ’s small size, you can take it with you when you travel or wherever you go, especially you‘re desperate to grind coffee in your hotel room or campsite. If you don’t mind the workout, the Hario is a great coffee grinder to have and it only costs $30. Can’t have your morning coffee because you have no time to order one from coffee shops, and you’re afraid you might be running late for work? Or you simply bought your coffee from Starbucks but you’re late for work and you’re fed up with your boss scolding you? Maybe it’s just too cold outside and you’re not in the mood for catching flu for the sake of a sip of the coffee you crave? From what we understand this can be quite a hassle but worry not! because that’s exactly where a coffee machine and grinder comes in handy! Let’s face it, modern day convenience is turning into a must nowadays, and that includes making coffee. For that matter, we recommend a decent coffee maker which will save you time, money and sometimes even save you from embarrassment. A decent coffee machine will allow you to make the type of coffee you love at home and with a click of a button. For instance, the capsule machine has dramatically altered how people drink coffee at home, you pop a coffee capsule into your machine and within the time frame of a single minute, you’ll end up with a perfectly brewed and well-made cup of coffee. Researchers claim that coffee consumption goes way back to the 15th century, although we don’t know exactly whether it was first discovered at that specific era, or it was consumed even before that time. But since there’s no actual data and solid evidence that support the second idea, most researchers decided to go with to the latter. The journey of coffee started with goat herder from Ethiopia called Kaldi, supposedly this man was the first person to ever learn about coffee and witness its magical effects, as he noticed his goats would not want to sleep at night after eating from a certain tree that its fruits resembled berries. He later went to take a close look at that suspicious tree and brought some of those berries to his tribe leader. The clan leader ordered his servants to make a drink of those berries as they were so tough to chew after the drink was made, the leader drunk a fair bit of it and it had an almost instant effect on him. He felt so energetic and lively and couldn’t take his afternoon nap which he almost never skips. Eventually, the knowledge and awareness about this powerful and energizing drink began to spread, it first reached the Arabian peninsula and ended up across the entire world. There’s no denying that coffee is very beneficial to the human body, providing of course that it is consumed in the right doses, not to mention the sublime taste and enjoyable experience a well-made cup of coffee can offer. But lets put the joy of taste aside for a moment and focus on the actual health and everyday life benefits that come with coffee consumption. Undoubtedly, the number one thing that is found in coffee and makes it so powerful is caffeine. Subsequently, there have been a lot of studies conducted on caffeine that show the importance and strong effects of this substance on the human body.First of all, if you’re a person that loves going to the gym and work out hard, you can’t go wrong with coffee, as it serves as a great natural pre-workout thanks to the drastic boost of energy that the caffeine in coffee provides. Even though all pre-workout supplements have caffeine on them, it is much safer and cheaper to drink coffee than take those over-priced pre-workout supplements that may contain unknown and harmful ingredients that your body can’t tolerate. In addition to that, coffee is also a safer, cheaper and natural fat burner as proven by several studies, those studies indicate that caffeine can specifically increase the fat burning process by as much as 10% in obese individuals and 29% in lean people. Moreover coffee contains some crucial nutrients such as vitamin B2, B3and B5, magnesium, manganese, and potassium. Last but not least some studies have shown that coffee reduces the chance of having heart and liver diseases, and it also promotes longevity. There’s no doubt that coffee has many benefits that we certainly can’t all cover in this article, nevertheless, the ones we mentioned above should be more than enough to illustrate how significantly coffee can help improve one’s quality life. However, we strongly advice against abusing coffee and going overboard with the amount taken, as it can backfire and have negative side-effects instead. Hopefully, you’re just a sane person who wants to enjoy and start their day with a delicious nerve-settling cup of coffee, as well as have enough energy to function properly throughout a long tiresome day of work. For that, you should definitely consider buying a coffee machine and a coffee grinder to make that experience easier.